A romantic time-shifting fantasy, The Lake House finds a magical dose of whimsy in the story of lonely lovers communicating across a two year gap in time. Early in 2006, Dr. Kate Foster (Sandra Bullock) moves out of a beautiful rural lake house and into a new apartment complex closer to her job in Chicago. She leaves a note in the lake house mailbox for the next tenant to forward her mail. On Valentine's Day of 2006, Kate witnesses a car crash outside the hospital where she works, and a pedestrian victim of the accident dies in her arms. 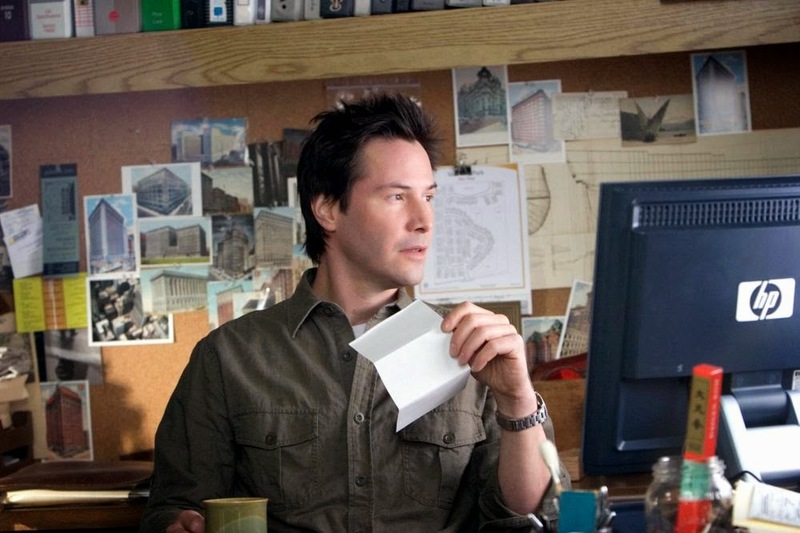 Meanwhile her mailbox note is picked up by home builder Alex Wyler (Keanu Reeves), who is just moving into the lake house in 2004, before Kate ever moved in. Kate (living in 2006) and Alex (living in 2004) soon realize that the mailbox is a time portal, and they start to communicate with each other through a series of notes and letters. Despite being separated by two years they gradually fall in love. The lovers try to arrange points in time and place to meet, and on a couple of occasions Alex catches up with Kate's 2004 life, but only he knows of their relationship, and he gets to meet Kate's fiancé of the time Morgan Price (Dylan Walsh). When they arrange to meet for dinner in Kate's timeline, Alex does not show up. Meanwhile, Alex is having a difficult time communicating with his aloof father, famous architect Simon J. Wyler (Christopher Plummer), the designer of the lake house. With Kate growing despondent about the likelihood that she will ever get to meet Alex, it becomes apparent that an extraordinary intervention will be required for their fates to align. Directed by Alejandro Agresti as an adaptation of the South Korean film Il Mare (2000), The Lake House is a brain-bending exercise in surrendering to the sweet imagination of the incredible. Once past the fantastic premise, this is an honest love story where the obstacle to happiness is misaligned time, and the David Auburn screenplay playfully enjoys the teasing game where Kate and Alex can communicate but not be together. The time gap raises as many paradoxes as possibilities between Kate and Alex, but the film just accepts it for what it is: a challenge to be overcome by true love. And just as the lovers need to patiently figure out what is going on and how to deal with it, The Lake House is a patient film, unfolding at a mature pace, allowing Agresti to build complex characters worth knowing and caring about without resorting to gimmicks and cliches. As far as movie romances go, this is a film where originality is embraced, and everything from the setting to the characters backgrounds is offered from a fresh angle. Alex is the family black sheep, just now re-entering the life of his father and brother, and trying to carve out his career away from the shadow of a domineering and egocentric dad. Kate is starting to establish her career, moving to a major hospital and fighting the loneliness that comes with big city blues. The strands of the people and places are drawn together, as The Lake House acknowledges and then celebrates the inexorable links between who we are and where we are. Large portions of the film unfold in the form of Kate and Alex reading out their written words to each other, allowing Bullock and Reeves to do some fine voice acting, their conversations bringing them close to each other even if their bodies are separated by a gulf in time. Bullock and Reeves, reunited 12 years after their success in Speed, share a quiet melancholia, their characters outwardly successful but still struggling to find their exact place in life. Chicago's architecturally commanding scenery, and a beautiful soundtrack highlighted by Paul McCartney's This Never Happened Before, perfectly enhance the mood. 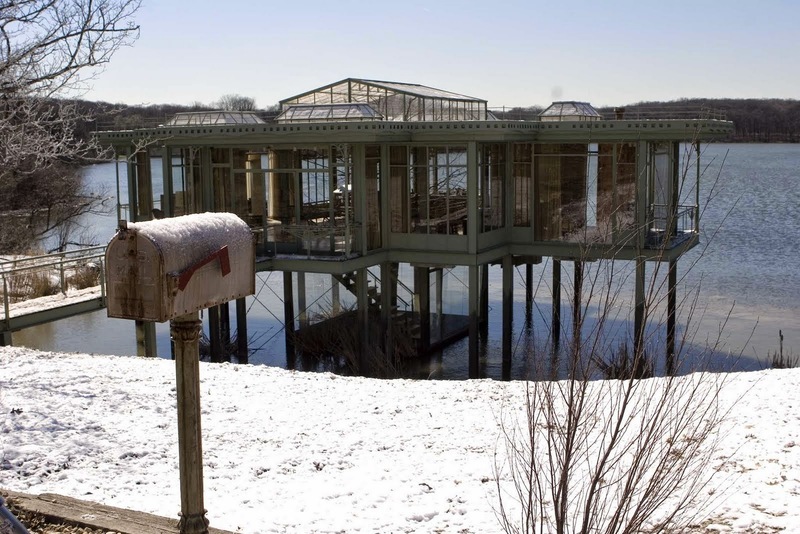 The mailbox, the lake house itself and the dog Jack (who befriends both Kate and Alex) are symbols of time, space and unity, hinting that the impossible is possible as long as new dimensions are embraced. The Lake House majestically stands on the water, suggesting by its mere presence that all sorts of other miracles can follow.